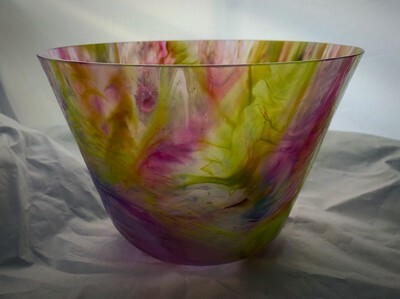 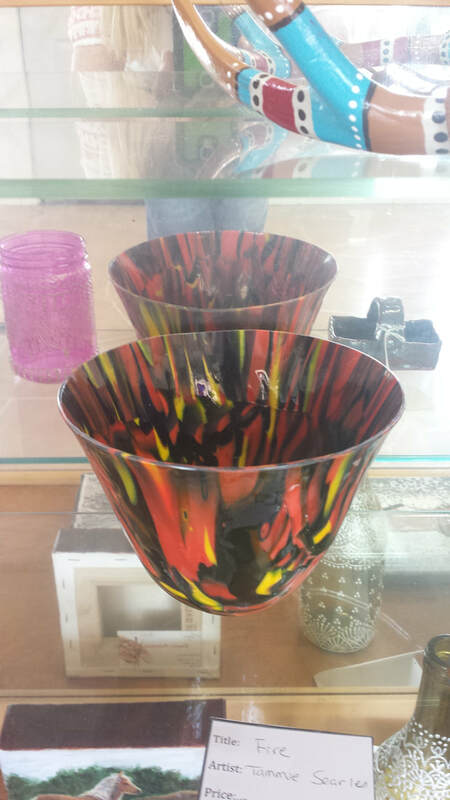 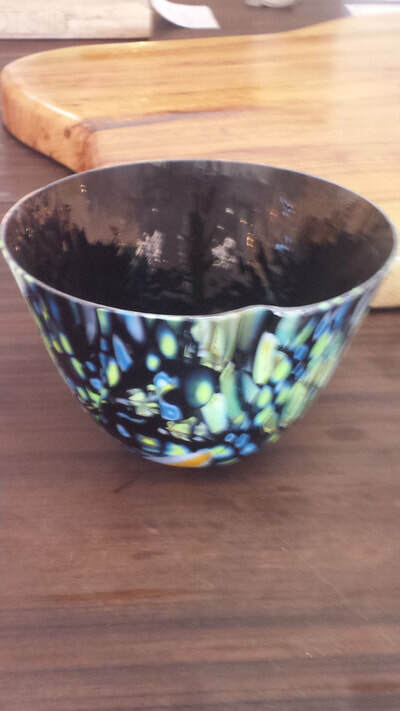 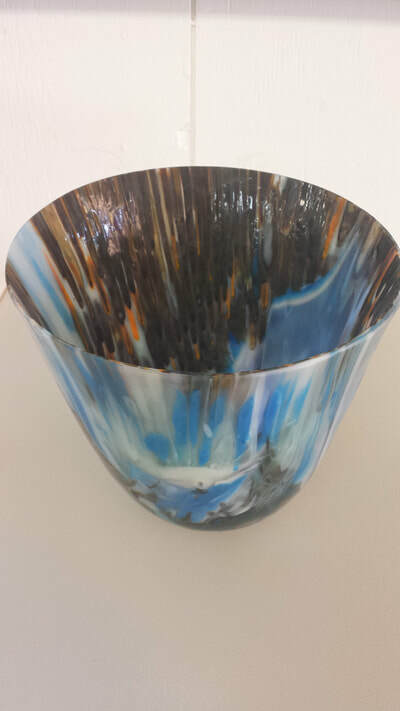 Tammie's artistic expressions range from working with Alpaca fibers to fusing glass. With her glass art, Tammie strives for the organic and the serendipitous. In her studio, she is surrounded by her kilns, sandblaster, saw, grinder, and inspiration. 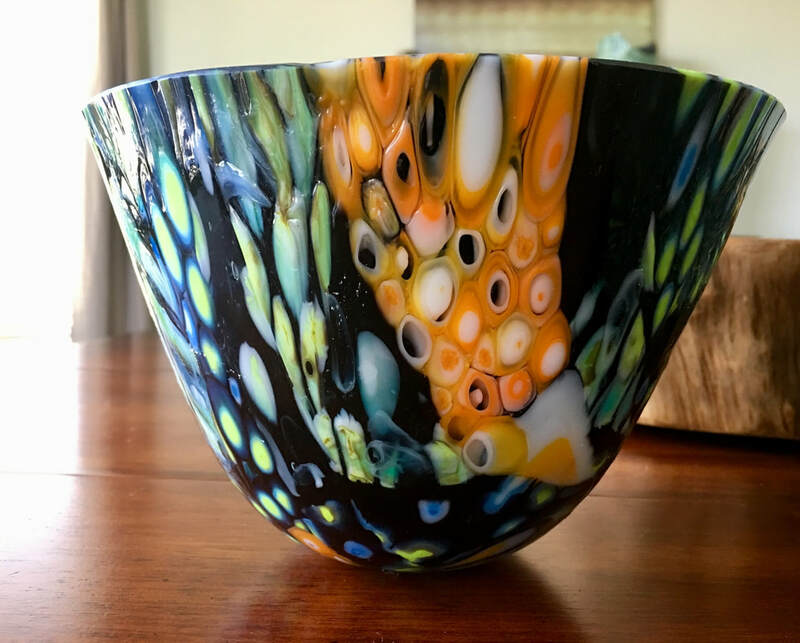 Recently, she has been creating Murrine pieces. The intricate Murrine patterns are specifically arranged and, when heated, allow the natural alchemy of science and nature to become the artist. 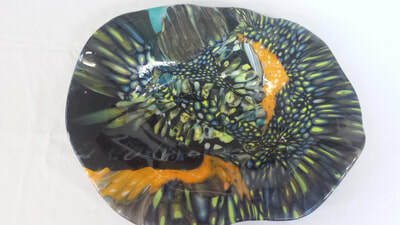 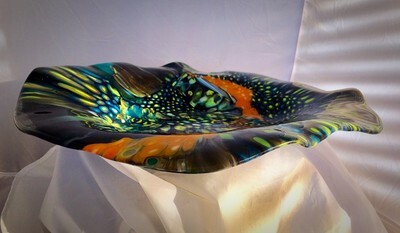 Murrine is the Italian term used for patterns made from glass cane that, when cut into cross-sections and refused, can be formed into platters and bowls. 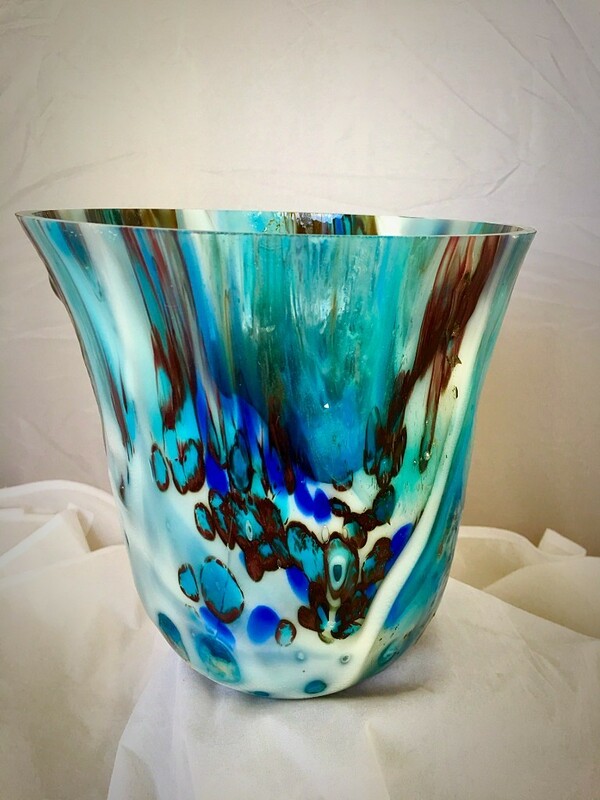 This process began over 4,000 years ago in the Middle East and was brought back by the Venetian glass blowers in the early 16th century.